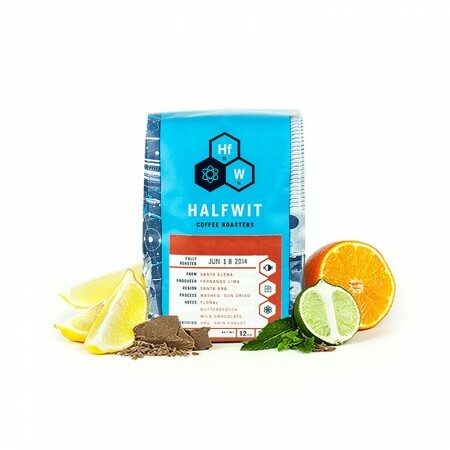 The Guatemala Buena Esperanza was carefully roasted for you by Halfwit Coffee Roasters. Grown by the Noe Isabel Castillo in the Huehuetenango region at 1,650 meters, this fully washed coffee is a perfect example of why we love coffees from Guatemala. We love this coffee for its nuanced notes of brown sugar with a lovely subtle acidity that is reminiscent of melon and apple. The caramel tones were LOVELY. This coffee has really great flavor, but I feel that it is not strong enough for my tastes. I have tried upping my coffee to water ratio but it is still a little week for my taste. This coffee is better suited for those looking for a afternoon cup of coffee, rather than a morning pick me up. I also enjoyed the sticker that came with this coffee! I guess for me it is the little things that make a company great. Another great selection! This coffee is one of the better Guatamulans I have tasted this year. Hints of honeydew and even sweet tea depending on how it's brewed. Different brew methods/timing is what really made this coffee shine for me. One brew I'm getting melon and another golden raisin. If your looking for something new and exciting you can't go wrong with this choice. Super forgiving and flexible coffee and would love to try more from this roaster.